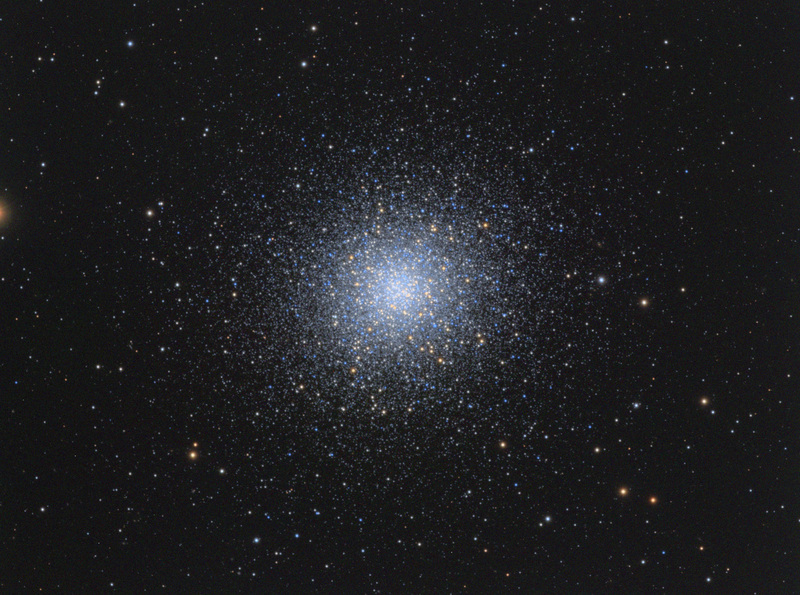 This is M13, aka, the Great (globular) Cluster in Hercules. I captured the RGB of this image with the TMB 152/1200, and the Luminance about a year later with the AP 160 Starfire EDF. The RGB was taken on a pretty icky night, with FWHMs well over 3”. But the Luminance exposures, taken through the exquisite AP 160, all had sub-2” FWHMs, on a night of fantastic seeing, at least for my location. Some minor DEC backlash adjustments resulted in pretty good guiding too. Note that there is absolutely no sharpening applied to this image. 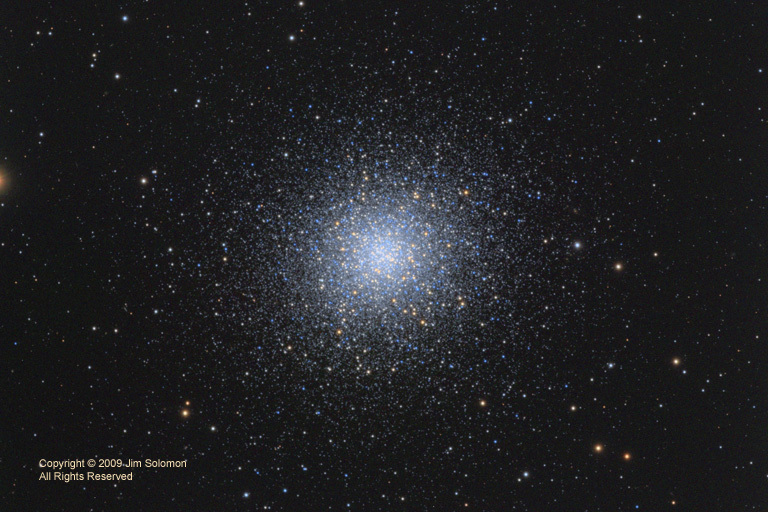 All in all, this is by far my best image of a globular cluster. A higher-resolution image is also available. North is up.